You will find below the horoscope of Nicole Richie with her interactive chart, an excerpt of her astrological portrait and her planetary dominants. Horoscopes having the same aspect Mercury sextile Ascendant (orb 0°29'): Rihanna, Lana Del Rey, Sandra Bullock, François Hollande, Che Guevara, Zac Efron, Kat Bjelland, Michael Douglas, Walt Disney, Patrick Bruel, Anthony Bourdain, Jacques Brel... Find all the celebrities having this aspect. Horoscopes having the same aspect Pluto sextile Ascendant (orb 0°42'): Justin Timberlake, Cristiano Ronaldo, Jean-Marie Le Pen, Michael Jordan, Michael Fassbender, Frida Kahlo, Reese Witherspoon, Tobey Maguire, Vin Diesel, Janet Jackson, Elizabeth Hurley, Jeanne Moreau... Find all the celebrities having this aspect. Celebrities born the same day: Stephen King, Leonard Cohen, Kareena Kapoor, Bill Murray, Liam Gallagher, Frédéric Beigbeder, Jason Derulo, Faith Hill, François Cluzet, Luke Wilson, Larry Hagman, Stéphane Rotenberg... List of all the celebrities born on September 21. Celebrities being the same height: Lady Gaga, Avril Lavigne, Kat Bjelland, Carrie Fisher, Christina Ricci, Nelly Furtado, Kristen Bell, Ellen Page, Cole Sprouse, Hayley Williams, Lisa Lopes, Zoë Kravitz... List of all the celebrities being 5' 1" tall. Celebrities clicked on in real-time: 576,110,485 times. Nicole Camille Richie (born September 21, 1981 (birth time source: Viktor E., Astrodatabank, birth certificate)) is an American socialite, actress, author, and singer. The adopted daughter of Lionel Richie, she is best known for her role in the reality show The Simple Life. She is also known for setting major fashion trends in Hollywood. Nicole Richie was born Nicole Camille Escovedo in Berkeley, California. Her biological father was a drummer who worked with Lionel Richie; her biological mother was a backstage assistant for Lionel. It is rumored that her biological father is musician Pete Escovedo (brother of musician Sheila E.), but Richie denied this in a November 2005 interview with Jane magazine. Here are some character traits from Nicole Richie's birth chart. This description is far from being comprehensive but it can shed light on his/her personality, which is still interesting for professional astrologers or astrology lovers. 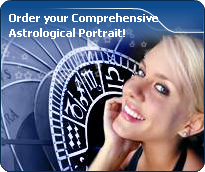 In a matter of minutes, you can get at your email address your astrological portrait (approximately 32 pages), a much more comprehensive report than this portrait of Nicole Richie. Nicole Richie, the nocturnal North-eastern quadrant, consisting of the 1st, 2nd and 3rd houses, prevails in your chart: this sector favours self-assertion and material security to the detriment of your perception of others. You consider self-transformation to be a hazardous adventure. You are inclined to seek stability and you tend to protect yourself with your actions. Possession, acquisition but also communication, without opening up too much, are part of your deep motivations. You are rather autonomous and constant, however it is important that you pay more attention to others, so that you can improve your outcomes. The predominance of Water signs indicates high sensitivity and elevation through feelings, Nicole Richie. Your heart and your emotions are your driving forces, and you can't do anything on Earth if you don't feel a strong affective charge (as a matter of fact, the word "feeling" is essential in your psychology). You need to love in order to understand, and to feel in order to take action, to the detriment of a certain vulnerability against which you should learn to fight. Nicole Richie, Fire is dominant in your natal chart and endows you with intuition, energy, courage, self-confidence, and enthusiasm! You are inclined to be passionate, you assert your willpower, you move forward, and come hell or high water, you achieve your dreams and your goals. The relative weakness of this element is the difficulty to step back or a kind of boldness that may prompt you to do foolish things. Cadent houses, namely the 3rd, 6th, 9th and 12th houses, are very emphasized in your chart, Nicole Richie. They indicate important potential for communication, adaptability and flexibility. These houses are symbolically linked to the mind and intellect. The relative weakness implied by these characteristics indicates your tendency to hesitate or to be indecisive, but also your remarkable ability to start off again, which is a nice quality, finally: you can easily get yourself out of a tight spot thanks to your mobility and casualness, in the best sense of the term. This group of houses corresponds to evolutionary characteristics of your personality. However, they are only indications and you must include them in the rest of your chart in order to see whether they are validated or not! The three most important planets in your chart are the Sun, Uranus and Mars. In your natal chart, the three most important signs - according to criteria mentioned above - are in decreasing order of strength Libra, Leo and Scorpio. In general, these signs are important because your Ascendant or your Sun is located there. But this is not always the case: there may be a cluster of planets, or a planet may be near an angle other than the Midheaven or Ascendant. It may also be because two or three planets are considered to be very active because they form numerous aspects from these signs. The 3rd, 2nd and 11th houses are the most prominent ones in your birth chart. From the analysis of the most tenanted houses, the astrologer identifies your most significant fields or spheres of activity. They deal with what you are experiencing - or what you will be brought to experience one day - or they deal with your inner motivations. After this paragraph about dominant planets, of Nicole Richie, here are the character traits that you must read more carefully than the previous texts since they are very specific: the texts about dominant planets only give background information about the personality and remain quite general: they emphasize or, on the contrary, mitigate different particularities or facets of a personality. A human being is a complex whole and only bodies of texts can attempt to successfully figure out all the finer points. Affectivity and intuition are very developed, Nicole Richie, and you are very sensitive to your environment. You “feel” atmospheres, moods and other people's emotions and when you capture negative influences, a feeling of ill-being immediately overwhelms you, all the more so because your lively imagination may destabilize you as it amplifies your receptiveness. Your nature is anxious and you tend to worry for your entourage. You strive to offer them a reassuring family atmosphere, the much needed comforting and warm sort of cocoon where you can laze around, at will. Because you care so much for your family, they may think that you are intrusive and that you try to rule their life through subtle affective blackmail. Trust them... and also learn to have more confidence in yourself! In your chart, the Sun is in Virgo and Venus, in Scorpio. For both Virgo and Scorpio, the keywords are: to remain one’s true self, to treasure one’s realm. Nothing and no one can convince you to disown what you are predestined to (Sun in Virgo), or to love what you hate (Venus in Scorpio). Virgo’s cautious and cold reserve is added to Scorpio’s passionate and equally specific character. In your couple, you give yourself body and soul to your relationship. Nothing on earth can prevent you from keeping the course of events under your control. Your exacerbated passion, associated with an unparalleled will to control, is the guarantee of a strong and intense love affair. Certainly strong, but not devoid of troubles or clashes. Virgo’s touchiness is coupled with your Venusian sign’s hot-temper and passion. In love as in crises, there are no half-measures. You may resent it. Indeed, how is it possible to figure out and to control a situation that is complicated and strained by your affective behaviours? When this planetary duet is well integrated, you can find a dynamic balance between rigour and passion, distance and emotional intensity, the good virgin and the mad virgin. Your personality is full of contrasts, particularly in the sentimental sphere. It requires a demanding and pernickety attitude at the same time… But life together would be very dull it there were no complications! You cannot dissociate love from passion, Nicole Richie. Your feelings are immediate, imperious, intense, and it is absolutely impossible for you to think of an amorous relationship without fusion, without the irresistible desire to know everything about your partner: emotions, feelings, sexuality, everything must be experienced in a possessive, absolute and unrestricted way. Actually, your feelings are as complex as they are deep. You seldom love, but when you do, a burning ardour and its torrid, violent frolics consume your couple. It is obvious that such powerful feelings may lead to jealousy and absolute exclusivity, almost bordering on the will to control your partner. If your relationship is genuine, all is fine. But if it is not the case, there are real dangers of shared wounds within your couple; it is hard to reconcile passion with tranquillity and it is clear that for you, sentimental serenity involves a partner who is either as complex as you and who instinctively understands you, or who is complementary, and as calm and steady as your impulses are intense and deep. What an energy, Nicole Richie! You take so many initiatives, you have so much strength for action, construction and struggle! You are part of the conquerors, loyal and concerned about panache. Your vitality is such that you can achieve your objectives and release all your creativity. However, you are so proud and so unyielding that you cannot tolerate the faintest annoyance on your way: if you are vexed, you may turn into the opposite direction as a matter of reaction. Sexually, your magnetism and your energy work wonders. You are not complicated and, as long as your slightly domineering nature is respected and you are granted due admiration, all goes perfectly well. You usually have a lot of self-confidence and you believe in you. This characteristic feature may turn you into a hero with Hercules's strength and solar charisma. This text is only an excerpt from of Nicole Richie's portrait. We hope that it will arouse your curiosity, and that it will prompt you to deepen your knowledge of astrology, as well as to visit and use the wide range of free applications at www.astrotheme.com.